Sayulita is a funky seaside village that's rapidly gaining in popularity. Once just a surfer hangout, it's now 20 minutes from Punta de Mita via a new road. Good waves, a large surf community, and frequent surf contests, Catch the north swell December through early April. 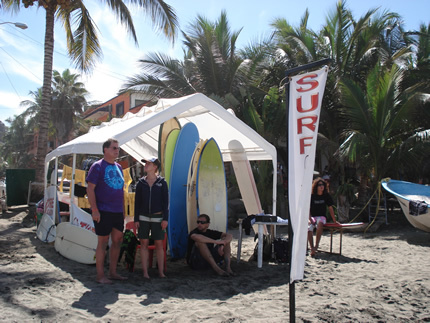 Good surf and a beautiful jungle environment makes tiny Sayulita a popular spot for North Americans and Europeans alike. It occasionally rains in January but almost never during the dry season, February through May. The rainiest months are June through September, which along with October, are the hottest months as well. Daytime temps in the winter months average a balmy 80 degrees Fahrenheit.